From formalwear accessories to scarves, we complement the tie range with these essential items. 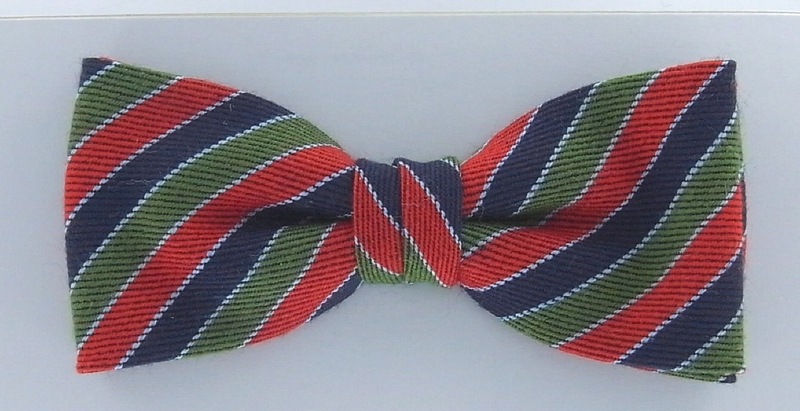 Navy, Red and Moss Green mini block with fine Sky Blue split stripe. 5cm depth with adjustable neckband.